This an universal seat belt which is suitable for most kinds of cars, it is a perfect replacement of your old, worn-out and loose car seat belt. Features: Easy to install Adjustable belts for more convenient Tensile strength for higher safety factor High quality #45 Steel (Jap standard:S45C, US standard:1045,German standard:C45) Identification: CCC Certification/ E-mark Certification High quality nylon fabric belt for wear-resistant Emergency locking function for protecting passenger from emergency braking Color: Black . 210C Lap Belt. Single Seat Belt. Buckle - 22cm Fixed webbing. Basically if it’s a car, truck, bus or coach part, we are probably in a position to help. We look forward to your call. For Get It Fast orders we will try to send out all orders recieved upto 2pm. 500/30 Lap & Diagonal Belt. 1x Seat Belt. Buckle - 30cm Stalk. Basically if it’s a car, truck, bus or coach part, we are probably in a position to help. We look forward to your call. For Get It Fast orders we will try to send out all orders recieved upto 2pm. With the Ford ISOfix mounting kit for the Ford Focus you can install your child seat in as little as an hour. Mouse over to preview. From: 2004 To: 2011 Ford Focus. We provide a range of genuine and universal products. Extends your seat belt buckle. Connect the existing seat belt to secure your safety. This seat belt extension is designed to connect to your existing seat belt. Our product only applies to the interface width of 22mm. Suitable for use with extending your seat belt for use with a child seat (not suitable for use with baby carriers). 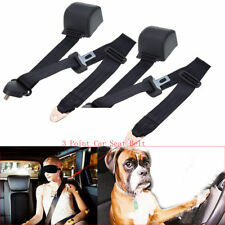 UK Longer Adjustable Car Van Auto Safety Seat Belt Extension Extender Buckle 14". Designed to connect to your existing seat belt. Increases the size and improves comfort of your existing seat belt. 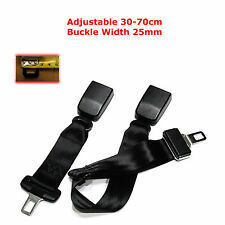 30 to 70cm Adjustable Car Seat Belt Extender Extension. Specially the buckle width which is 25mm on our extender. 1x Car Seat Belt Extender Extension. Buckle: 25mm wide. This seat belt extension is designed to connect to your existing seat belt. 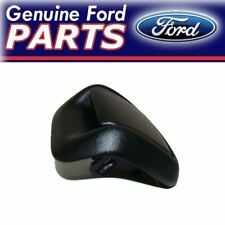 2x Black Car Auto Seat Adjustable Safety Belt Stopper Clip Extender. Instant relief from seat belt tension, allows for more comfortable driving position. Fix clip on top of belt. Ideal for trucks, van, cars, power boats etc. 300/30 Lap & Diagonal Belt. 1x Seat Belt. Buckle - 30cm Stalk. Basically if it’s a car, truck, bus or coach part, we are probably in a position to help. We look forward to your call. For Get It Fast orders we will try to send out all orders recieved upto 2pm. Plugs into the seatbelt socket to stop the annoying 'fasten seatbelt' alarm. Seatbelt Buckle. 1 X Safe Belt Extender. This seat belt extension is designed to connect to your existing seatbelt. 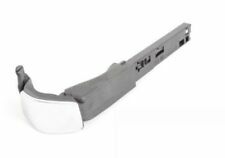 This Universal seatbelt extension fits nearly all types of buckles and receivers. Seat Belt Type : Car seat belt. Rigid Car Seat Belt Extender is made of a stiff cable that allows it to stick straight up when buckled in. This Extender is excellent for those who can't buckle up. It is the strongest, safest and most comfortable Extender on the market. 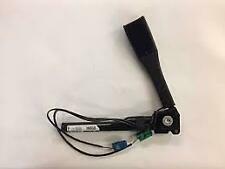 Genuine Toyota Yaris Front Right or Left Seat Belt Buckle Stalk 73230-0D010-B1. 10pcs x Stopper. Application: universal. Material: plastic. Manufacturer Part NumberDoes Not Apply. Color: Black. 1x Land Rover Defender 90/110 Right Hand Side Seat Belt. Land Rover Defender 110. Land Rover Defender 90. All parts are inspected before dispatch to ensure the part is complete and free from defects. 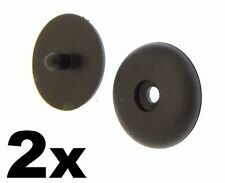 The original car locking tab's width must be 21mm. Can used for extend seat belt, ensure your safety. High strength. The original car tongue must be the so specific specifications(2.1 3.2 2cm). We are alwayswilling to work things out. 1 x 36CM Seat Belt Extension. Designed to connect to your existing seat belt. Increases the size and improves comfort of your existing seat belt. It is a perfect accessory for your safety and comfort. Webbing Buckle - 400mm long. You then have probably a few options. The kit is provided with a set of fixings to attach it to a seat belt provision, and a set of instructions. Retractable lap belt. Universal Retractable Lap/Seat Belt. End of tongue to retractor mounting point = 1200mm. Just like the belts on the plane, the Airplane Seat Belt Extender is professionally sewn and made with an original airplane belt buckle for maximum safety. Never worry that the airline won't have an extender for you - you will have your own! 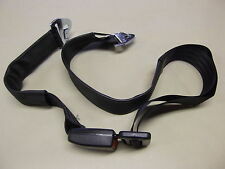 Add to car's original seat belt buckle,convenient to put on seat belt. For Expectant mothers. For Child seats, convenient and safe to install. The star-scores are very important to us. Otherwise, we can not receive it. 2 x Safe Belt Extender. Universal for most cars. Size: 24.5x4.5cm/ 9.45x1.77" approx. Digital photos will be required for all cases. Seat buckle clip is a great combination of fashion and functions. 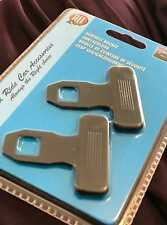 2pcs Seat Buckle Clip. Buckle Size: 34mm x 20mm. Easy to install and best security for you. Inside Hole: 20mm x 10mm. A perfect decoration for your car. 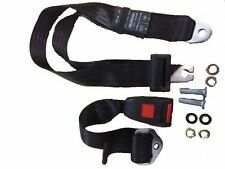 Single Securon Rear Lap Seat Belt 210 will fit most cars. Webbing length, end bracket to tongue: 120cm. Twin release buckle. (To be fitted to the existing Anchor Points). 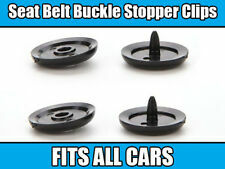 Seat Belt stopper buttons designed to stop the buckle from falling all the way down the belt. Compatible with ALL cars. Universal Seat Belt Stopper Button. Push together through the seat belt, if needed use a pair of pliers to clip the 2 parts together. 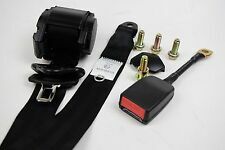 Heavy Duty Car Vehicle Seat Belt Extension Extender Strap Black Safety Buckle. Item Type: Car Seat Belt Extender Safety Seatbelt. 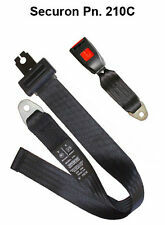 This car seatbelt extender is manufactured with premium material for durable and long-lasting use. 264 Lap & Diagonal Belt. 1x Seat Belt. Buckle - 32cm Fixed webbing. Basically if it’s a car, truck, bus or coach part, we are probably in a position to help. We look forward to your call. For Get It Fast orders we will try to send out all orders recieved upto 2pm. 1x Seat Belt Extender. Fits all makes of Seat Belt where the webbing is attached to the vehicle by a set screw/bolt. Intended for use by those who otherwise would be unable to make use of a standard length belt.